Thread: [Event] Summer is here! Summer is finally here and is hotter than ever! 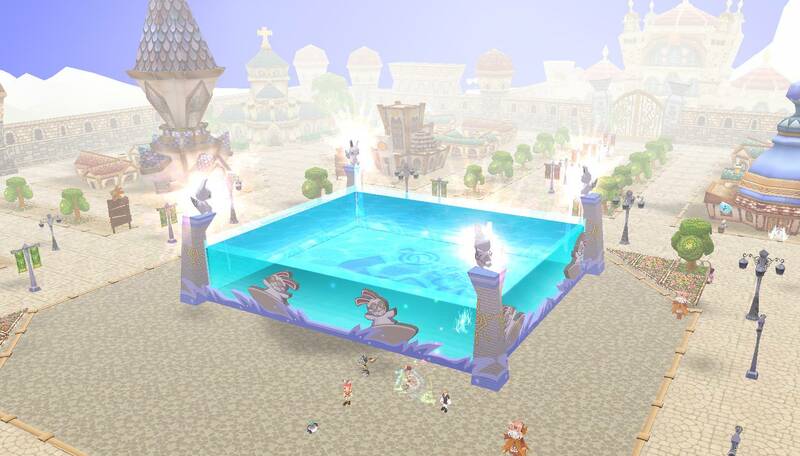 As we always think of our beloved players, in this occasion, we have installed a pool in the center of Elim where you can gain really cool prizes while refreshing up from the heat. In order to get into the pool first, you need to talk with “NPC Pool Shark” who is right outside. You will need to pay a fee to get in, and you might want to wear a swimsuit because you don’t want your precious clothes to get wet right? Once inside, you will find “NPC Liruru”, who will ask you to bring 100 Natural Salt from any monster in “Nerais” and in exchange, she will give you 1 Random Swimming Pool Party Box which contains a gift inside. We know you will love all the cool prizes and we hope you enjoy this event as well. Enjoy with us this summer! Event anniversary 5th still going? And if still going,when event end? Because I kill boss still drop seal voucher and kill monster still drop seal coins too. Last edited by soyjoy4; 07-03-2018 at 11:37 PM. "You can help “NPC Liaru” multiple times and get more chances to obtain all the items listed down below"
The event duration was prolonged until July 17th. you can get any of them randomly by opening the event boxes. 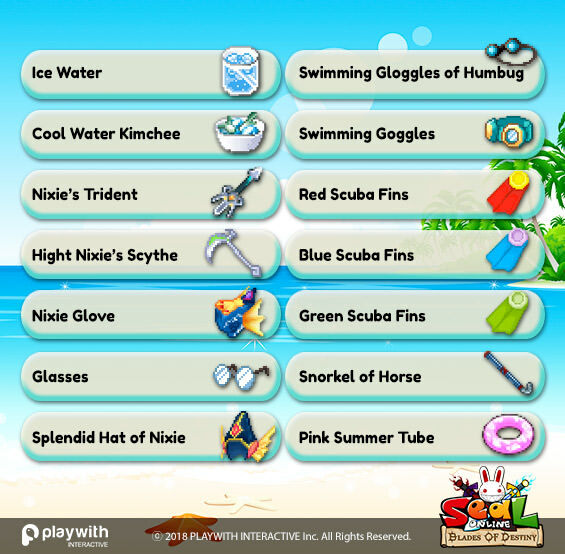 Can we get stats on the different scuba fins?